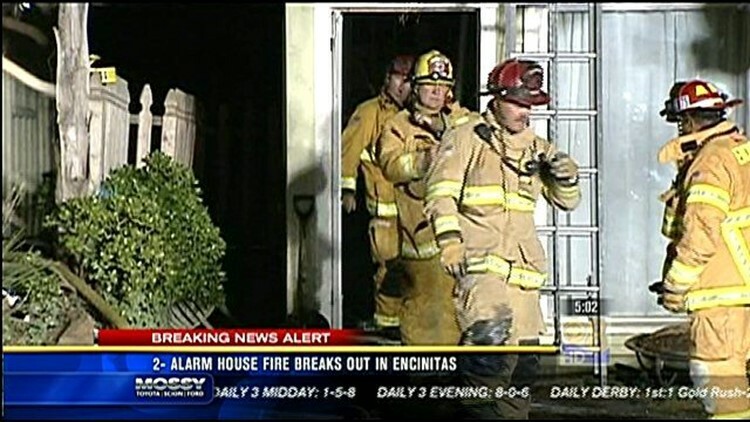 Firefighters are battling a 2-alarm house fire in Encinitas Monday. ENCINITAS (CNS) - A triplex caught fire in Encinitas early Monday, causing no injuries but leaving four people displaced, authorities said. The blaze in the 400 block of Norfolk Drive broke out about 2:40 a.m., said a North County Fire Protection District dispatcher. The blaze was knocked down by 3:30 a.m.
News 8's Adrienne Moore files this video report from the scene with the latest.